The automatic spreading technique is not a new technology in the fashion manufacturing industry. I have seen automatic spreading first time in the year 2005 when I was doing college internship in Texport Syndicate (a garment manufacturing company) in Bangalore. By using an auto spreader, garment many manufacturers have reduced manpower in cutting room from 6 persons to 1-2 persons per cutting table (spreading activity). At the same cutting room capacity is increased many times. Additionally, most important thing, cutting quality has been improved. A lot of technology advancement happened in the spreading machine too at the IoT (Internet of Things) era. Spreading statistic is available with the auto-spreader. Know more about automatic fabric spreading machine and watch a video on auto spreading. In this post, I have shared a list of automatic spreading machine brands and spreading machine solution providers. This list would be helpful to them who are planning to install auto spreader in their cutting section. Some of these spreaders I have seen in the garment factories, some in garment machinery exhibitions and others found through online research. I have provided the website link to each solution providers. You can explore more about the automatic spreading machines in their websites. 1. Lectra: Lectra is a well-known brand in India and worldwide for cutting room automation in sewn product industry. Lectra spreading machine is very popular in India. 2. Gerber: When we talk about cutting room automation, Gerber comes after Lectra. Gerber and Lectra spreaders are found in the most of garment factories in India. Know more about Gerber spreader. 3. Eastman: Eastman company is synonyms of the straight knife cutting machine. They have recently introduced cutting room automation including Eastman automatic spreading machine. 6. Morgan Tecnica: Morgan Tecnica spreading machines are equipped with most advanced electronics and software developed ad hoc to allow the best possible control, even by remote. The PC touch on board offers the possibility to control and manage the productivity even by remote. 8. 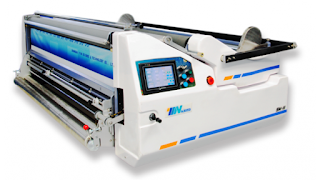 TukaSpreader: TUKAspreader machines are designed for all types of woven and knitted fabric. 9. IMA Fabric spreaders: IMA SpA is an Italian capital company founded in 1977 in Turin. A few years after its establishment, it joined the Macpi Group and transfers its production site in Palazzolo, in the province of Brescia, home of the other companies of the Group. 10. Ozbilim: Ozbilim is a Turkish company. Recently I visited Turkey. I have seen Ozbilim spreading machines in a garment factory. 11. YIN (Automatic Spreader) // Yin USA, Inc. provides integrated automation solutions for advanced textile manufacturing industries by including Automatic Spreading Machines. 12. 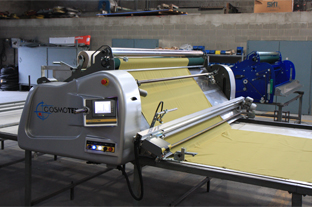 Cosmotex: Cosmotex is a Spanish company specialized in manufacturing and marketing textile finishing and cutting room machinery. 13. Oshima automatic spreading machines: Oushi Group (Bao Yu Machinery Co., Ltd.) was established in 1971, for the well-known domestic and international outstanding clothing, textile machinery and equipment manufacturers, the current set up operations in Taiwan, mainland China, Thailand, Vietnam, the Acting Distribution throughout the world. Over the past 40 years, the Group has always been "quality of survival, quality and development, service and reputation" to meet customers return customers. I have shared few images of automatic spreading machines. Images are taken from the spreading machine supplier’s company websites. 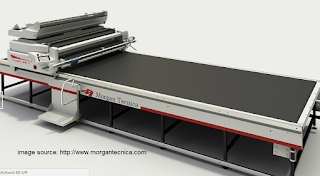 Automatic fabric spreading machine solution providers list.